Discover what to see in your visit to the city of Braga, Portugal. 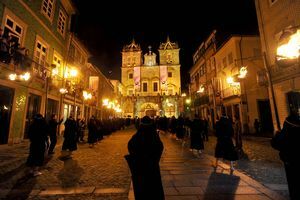 Braga offers a wide range of activities both during the day and night. The city has a great atmosphere full of cafes, pubs, clubs, and much more. Braga does have the best atmosphere during the Festa de São João festival (June 23rd and 24th). The city becomes a lively open-air market with medieval performances, processions, bonfires, and fireworks. Semana Santa (Easter Week) is also a great time to discover the unique way in which Braga celebrates this week.